What is a boiler room scam and how to protect yourself from getting ripped off? To illustrate it, here is a true story about a businessman (let’s name him Kevin) who got scammed big time by the boiler room fraudsters. Please read the story because it gives you a pretty clear picture of how heartless con-men use boiler room scams to harass and rip off innocent people. Kevin had his own company, a few expensive sports cars, and, in fact, did financially extremely well. 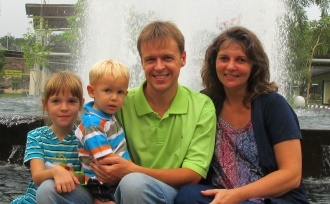 He was a bright man, followed business news, and thus did not classify as one of those ignorant (and therefore highly vulnerable) dream-chasers. You don’t need to be a novice to fall victim to sophisticated boiler room frauds. One day Kevin got a cold call from a smooth-talking ‘broker’ who persuaded him to invest in currency options. The broker said that from these options it was possible to make two or three times the initial investment. To prove his case, he asked Kevin to take a piece of paper and do the calculations. And guess what? It worked indeed and added up. Awesome! Next, the conman asked if Kevin was ready to invest £10,000. Kevin took time to think about it and even asked his friend (who, by the way, smelled the rat and suggested him to stay away). However, about a week later the broker called him back and said that the Euro had fallen (as he had told him before), and if Kevin had listened him, he would already made £18,000 clear profit. Kevin checked the numbers and was convinced – everything worked as a clockwork. So he decided to place the deal. A few days later the broker called again, telling that on the ‘trading floor’ things were getting wild and that there was a great opportunity for a set of options with a very competitive price. This, however, required from Kevin an additional investment of about £250,000. Obviously, Kevin refused. Then, as you might suspect, the price dropped quickly, and five minutes later Kevin agreed to invest additional £150,000. A couple of days later, according to Kevin’s calculations, he was up by roughly £30,000. And then, a few days later the reality hit him like a sledgehammer to the head – He found a fatal mistake in his paperwork. 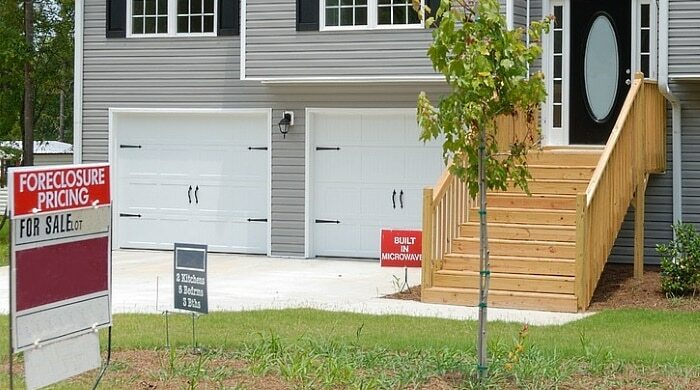 Obviously, the ‘broker’ knew about the mistake but did not tell him. …No happy ending for Kevin, the poor misguided soul. He lost all his investments. There are countless heart-breaking stories like the one above. In fact, you don’t need to have hundreds of thousands of dollars to begin with. Also, it does not even matter how much you lose. When you are conned out a significant amount of money, it can have (and often has) devastating effects on both of you and your family as well. When you read these stories, it’s just heart-wrenching. They will make you cry. Seriously! …YES! It is absolutely possible to make side money (or even a second income) online. AND it is possible to do it WITHOUT getting involved with ugly scams that drag you into a major disaster. Imagine Looking For Legit Work-From-Home Opportunities And Finding THIS. When You Go Inside… WOW. A boiler room scam (sometimes called a ‘Share scam’) is a type of fraud in which fraudsters cold call potential victims and persuade them to invest their money into something that they insist promise very high returns. The term itself (boiler room) comes from the fact that these scams involve high-pressure selling and increasingly sophisticated rip-off tactics. Thus, it is analogous to the conditions in the boiler and its surrounding room. There are many effective techniques that work extremely well (more about that later). As you might expect, scammers fill their coffers while unaware victims pay through their nose. The North American Securities Administrators Association estimates that investors lose $10 billion a year (it’s about $1 million per hour) to investment fraud promoted over the telephone alone. How Does a Boiler Room Work? As I wrote, the boiler room frauds involve high-pressure selling. They use sales offices where sales people have to follow carefully prepared scripts. Please remember, the initial investment is only a bite and therefore relatively small. It is meant to hook people and draw them in. After that the fraudulent salesmen follow up on these unaware victims and convince them to invest much bigger sums of money (or buy way more expensive products). The ugly part here is that when they contact you, they already know your financial situation and how much you are able to fork out (there are different ways how they get that information). As a result, they can make you an offer that you will find realistic and attainable. Obviously, this fact alone makes you much more vulnerable to their abuse. And remember, there is always some kind of ‘urgency factor‘ involved in the scheme – to get you act at once. …Hey! You just have made easy money! The system works indeed and you have discovered a secret treasure trove. They may even contact you to congratulate and check whether you had received the payment. After that there is a second wave coming – a way juicier offer. This time, though, the required minimum investment is 10 to 20 times higher. Again, the price is realistic but it obviously hurts (that’s how they have designed it for you). However, because the first deal went so well, your tank of self-control goes from full to empty and you fall prey to temptation. The result? You will lose everything. In fact, it’s not rare when people lose all their savings or even their family home. Even worse. The harassment does not stop here. After you have been ripped off and victimized, the fraudsters sell your details to other scammers who take their turn in carpet bombing you with new ‘lucrative’ offers. The follow-up scam may be related to the previous fraud – they may offer to help you get your money back or buy back the shares after you pay an administration fee. Or it may be completely separate. The numbers are just jaw-dropping. From the FCA (Financial Conduct Authority) website. 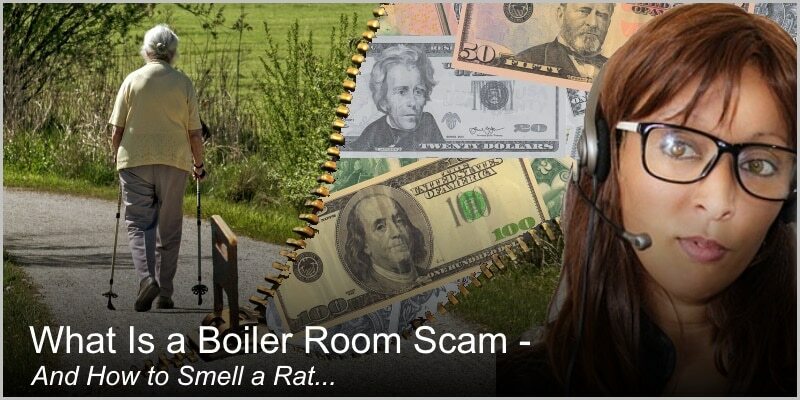 What do These Boiler Room Scams Promote? Criminals use every single trick in their tool bag – virtual offices, operating from overseas locations and using offshore bank accounts, fake receptionists, fake testimonials, misleading claims of high returns, false sense of urgency, threatening, etc., etc., etc. Apparently, the money invested into these useless companies (old shelf companies with no complaint history), fake diamonds, or overpriced information products will never likely to make any profit for their investors. Let me list you some of the main sales techniques used by boiler room fraudsters. As you have seen above, these schemes work always like that – the initial bite is small and usually delivers. That is designed so – to make your greed glands salivate. Expect extremely high-pressure sales pitches – all designed to initiate and close the sale and get you into investing huge sums of money in worthless products. As you can suspect, these are mostly empty threats. The big trouble for you, though, is that you don’t know that you are dealing with criminals. That’s why people take these threats seriously. And pay until it hurts. Cloning is a sophisticated twist on the scam where the scammers ‘clone’ famous and respected companies. Simple. They use almost identical brand names, logos, mock-websites, email addresses, phone numbers, and even business cards. Thus, when they contact you, they claim to be from fully regulated and licenced financial institution. And if you are not careful enough, you will obviously fall into their trap. Not only that. Scammers even clone offcial regulators for financial services firms and financial markets – such as as FCA in the UK. The same way as they clone private companies. They use fake phone numbers that are similar to the official ones. 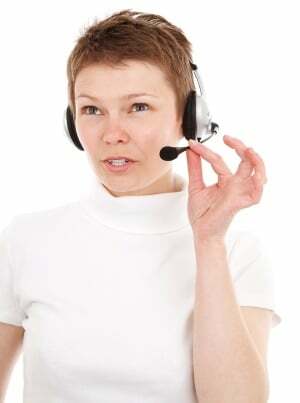 When speaking with their victims, they adopt the similar or the same names as the genuine consultants. They use impressive job titles, technical jargon, etc. Then, after ripping off their victims, they call them as official regulators. They provide fake consultation and encourage the victims to accept the defeat – nothing can’t be done anymore, the money is lost and better if they keep their embarrassing ‘investment’ secret. You see! A clever way to prevent official complaints and lawsuits, right? Remember this: If the offer sounds too good to be true, it probably is! You must give them your phone number, bank details, and/or your credit card data. If you think you have been a victim of a Boiler Room scam (in fact, any scam), or you believe that you have information about a suspected fraud, it is highly recommended to report. If you want to invest money, it is way better to research, find, and contact a reputable company than respond to cold calls. Ask the salesperson as many questions as you can. Also, ask for written materials. Check the background and details of the one who makes the offer. Take your time to make a decision. Remember, false sense of urgency is almost always coded into the script. Be aware of bank accounts that are based overseas. Also, be aware of bank accounts that have different names to the companies that are presented. This is not investing in shares or stocks but it will teach you how you can make a living on the Internet through a truly legit and in-depth system. Click Here to Find Out How You Can Make $1200 a Month Online. No Credit Card Required. It’s FREE to Get Started. Thank you for taking your time and reading through the review. I hope you found it useful and got the information that you were looking for. Do you have any first-hand experience with boiler room scams that you want to share? Please drop a comment into the comment section below and I will return with a response. Watch out for the Boiler Room by the name of LMC CAPITAL! They sell to Australia and around the world with Australian Banks and they will take your money forever! No, I hadn’t heard about them before. But I did a quick check and found their websites. Ling Capital seems interesting, I will research it and if it is in my niche, I will review it. As for ATW Mining, they don’t target my niche so it’s out of my scope. Thank you for the comment, Joseph. I appreciate it a lot. There are so many types of scam out there that you often wondered if there are any legit programs at all. I’m lucky in a sense that I only lost close to 200 dollars to an online scam. I’m super cautious these days, and highly focus on building my own online business in a realistic manner. I hope many would start to be aware of scams like this too. Thank you for the comment, Kenny. I lost money to scams as well, If memory serves, I think it was $100 or something. Not much but embarrassing anyway. It’s not nice feeling to know that you’ve been scammed. However, I decided that I had learned my lesson and I won’t let myself being scammed again. Also, I decided to raise awareness about online scams and that’s how this website was born. Now I am just left baffled at how widespread the ‘diseases’ actually is. Also, it’s just mind blowing how many millions of people get scammed each and every year. They all must get (at least somehow) victimized. It’s tragic. Thank you again for the comment, Kenny. Too bad many people end up falling for this scams, and there’s a lot more of them everyday on the Internet. As you said, there’s many ways to make money online, and they wouldn’t ask you for money right away, since that’s what scammers do. Hi, Israel, and thank you for taking time and dropping a comment. I am often stunned how widespread the binary options scam ‘disease’ is. It’s kind like pretty much epidemic already. Can’t imagine how many innocent people get scammed by them. It’s absolutely terrible. The need to make extra money is clearly there. The only problem is, if people are not offered proper training, they fall prey to all kind of internet scams (including lucrative binary options). Probably because Binary Options look like an easy and low cost business opportunity. How far it is from truth though. I keep telling everybody: If you are a complete novice and want to learn how to make extra income online, don’t mingle with Binary Options. There are much better ways, safe ways, and cheaper ways. Here’s my top recommendation. No risk involved because there are no obligations + it won’t cost you bean to see whether it can help you .